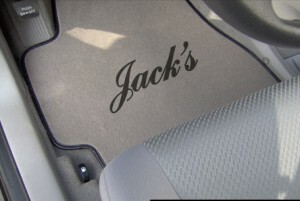 We offer Passenger Cabin and Trunk mats. and is easy to clean with a little water, soft brush and microfiber cloth. Mats will hold their shape and not buckle, slide around or flop over. The vinyl border around each mat is easy to clean and will not fray compared to a threaded border. As part of the driver’s side mat, there is an optional extension of the mat which covers the footrest area. This “ear” is covered with vinyl, which makes it easy to keep that area clean and prevents wear of the factory carpet in the footrest area. If you want an aluminum footrest pedal, that is available on this site for $65.00. 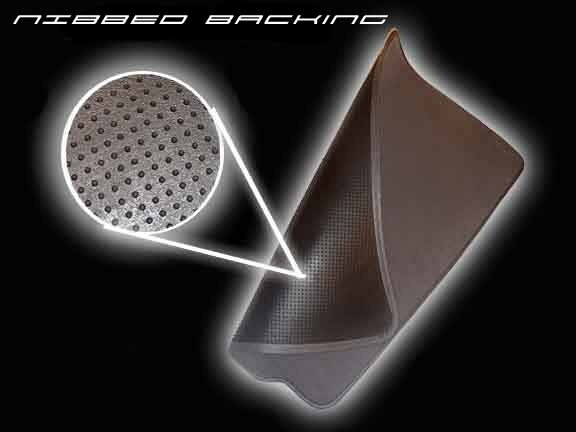 Our rubber spiked backing provides a non-slip surface to insure your mats stay put. The mats are professionally constructed and graphics embroidered in the USA. Graphics are coated with a stain repellent. These custom carpeted mats with their stunning graphics, will enhance the high quality appearance of your Model X interior. Whether you want to display your company’s logo, “Zero Emissions”, “Ludicrous” your name, your initials, or family crest – if it can be digitized we can embroider it on your custom floor mats. Contact us for other graphics ideas. Frunk and Trunk Mats do not have, nor need the rubber spiked backing since they are form fitting. Pricing below for Model X, 5 Seat Configuration with 1 or 2 graphics per mat, except for the mat directly behind the 2nd row Seat with no graphics option. Purchase mats individually plus shipping, or all mats at the same time plus shipping. $275.00 for 2 Front seats mats, includes non-slip rubber spiked backing, also included are the optional vinyl covered “ear” footrest pad & Optional Driver’s side heel pad. $150.00 2nd row bench seat mat with rubber spiked backing. $350.00 (2) Rear Trunk mats, 1 behind the 2nd row bench seat and the 2nd mat covers the Cargo Well Lid. 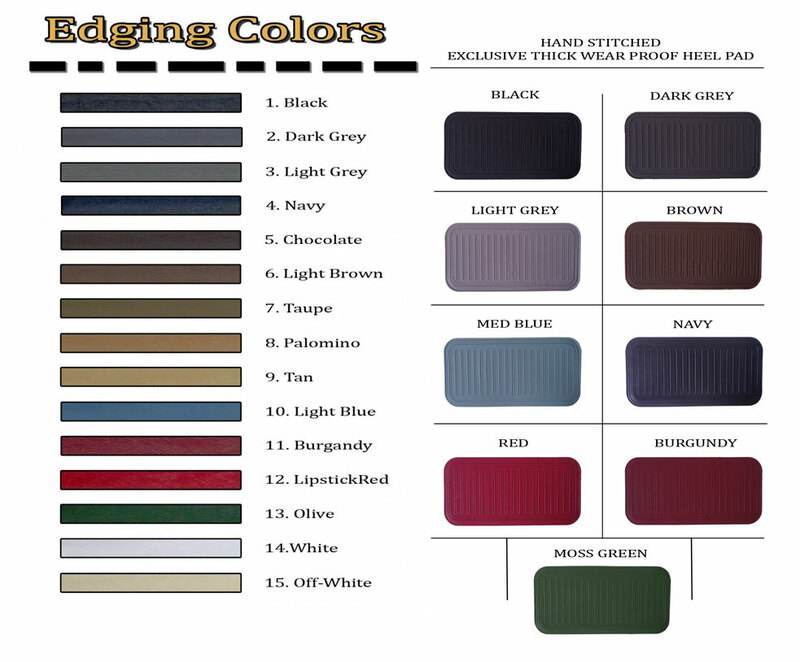 Graphics options available only for the Cargo Well Lid mat. $950.00 Cost for all Mats for Model X, 5 seat Configuration, plus shipping. We do ship internationally, email Jerry at info@ForMyTesla.com for a shipping estimate. 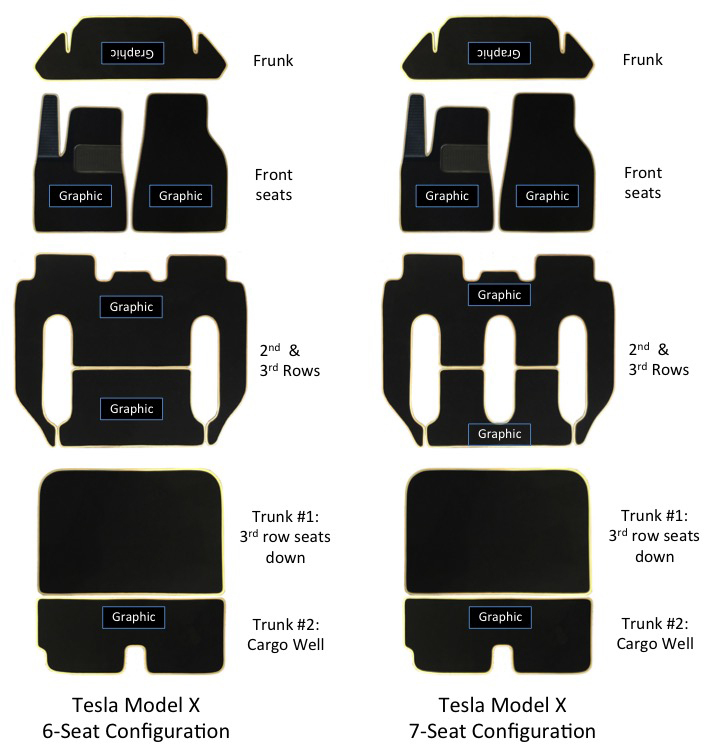 Pricing below for custom floor mats for Model X, 6 and 7 seat configurations with 1 or 2 graphics per mat, except for “seats down” trunk mat with no graphics option. 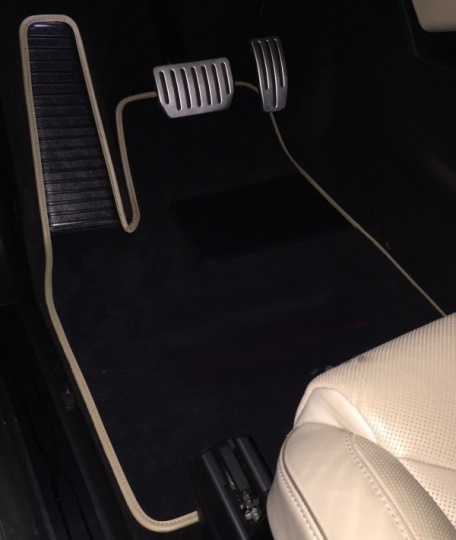 Note: We can also provide custom floor mats for Model X 6 seat which has the CENTER CONSOLE between the 2nd row seats. $ 275.00 Front Seats Mats with rubber spiked backing, optional vinyl covered footrest pad & Optional Driver’s side heel pad. We do ship internationally. Email Jerry at info@ForMyTesla.com for a shipping estimate. 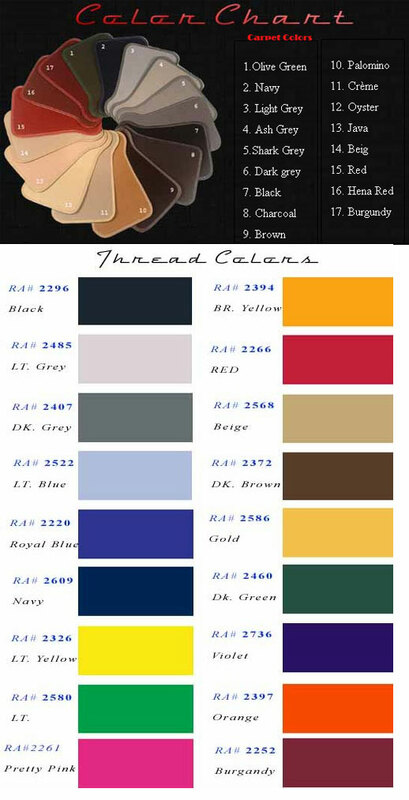 $25.00 for each Additional graphic per mat. $50 to digitize custom non-standard graphics. When you receive your mats there may be an odor. This is from the adhesive and rubber backing which have not fully outgased. or put them in the sun rubber side up and the odor will be gone. Custom mats are not returnable or refundable.